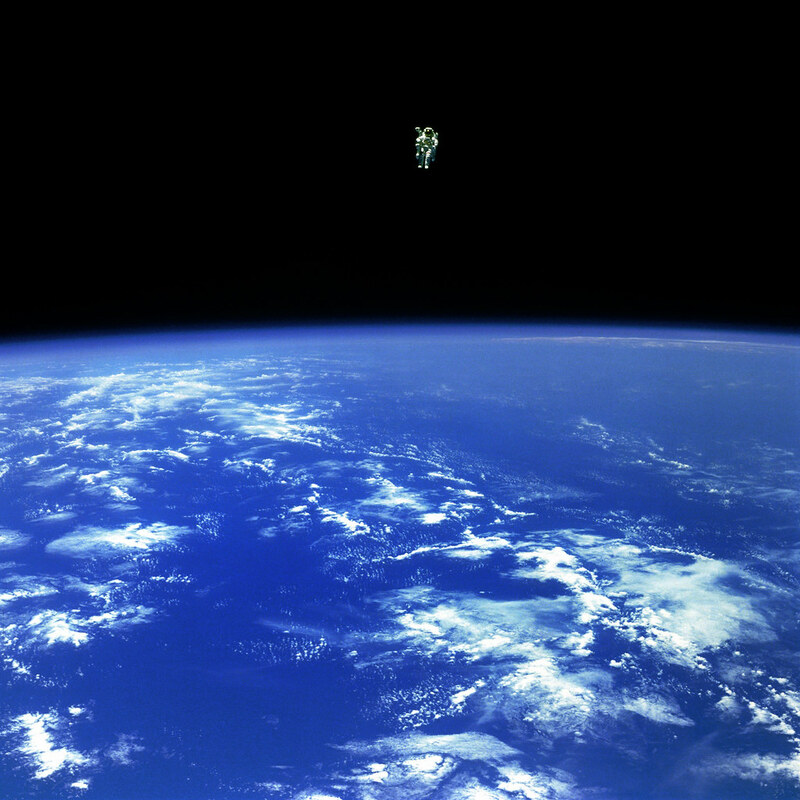 Mission Specialist Bruce McCandless II is seen further away from the confines and safety of his ship than any astronaut had ever been. This space first was made possible by the Manned Manuevering Unit or MMU, a nitrogen jet propelled backpack. After a series of test maneuvers inside and above Challenger’s payload bay, McCandless went “free-flying” to a distance of 320 feet away from the Orbiter, untethered. This stunning orbital panorama view shows McCandless out there amongst the black and blue of Earth and space. Posted in Big Picture, Photography | tagged astronaut, Earth, Earth from Space, historic moment, historic photograph, NASA, science, space, space history, space walk, untethered space walk. The permalink. ← Pensamientos: More Exquisite Artwork by Maria Mercedes Trujillo A.